Evanston Public Library, 1703 Orrington Ave. EPL hosted a Human Library event Sunday to encourage dialogue among community members who have diverse backgrounds. While most come to the Evanston Public Library to check out books, community members gathered there Sunday for something a little different. Dozens of local residents packed into EPL for the Human Library event, where they engaged in one-on-one dialogues with 10 people who have personal experiences of prejudice and discrimination. Participants were able to “check out” a “human book” for 20 minutes to 25 minutes and discuss an array of topics, ranging from drag culture to Baha’i faith, said Julie Rand, the event’s co-chair. Rand said the Human Library is an international movement expected to raise awareness of prejudice within the community. She said the event was first developed in Denmark in the early 2000s as a project for Roskilde festival, the biggest summer festival in Northern Europe. Human Library Organization granted EPL a one-year license to host the event in Evanston, Rand said. The event is a continuation of EPL’s efforts to encourage dialogue among community members who have diverse backgrounds, Rand said. Consequently, Bevels said, he decided to participate in the “Human Library” event in hopes of clarifying people’s misconceptions toward drag queens. He said “standing up and being visible” in the community is very important given the current state of the country. Evanston resident Leticia Barge said she appreciated the “human books” for being “honest” and “transparent” with their identities during the conversation. The event provided her with a “whole new view” on topics like drag culture and fostered a better understanding of commonalities between human beings, she said. “We have all gone through something, and if we allow our sameness to abolish the differences, we will have more things in common,” Barge said. However, Rand said the “super prejudiced” people whom the event seeks to engage the most are usually not willing to participate in these types of programs. Because of this, she said EPL is working to organize more “Human Library” events in the future to impact a wider audience. 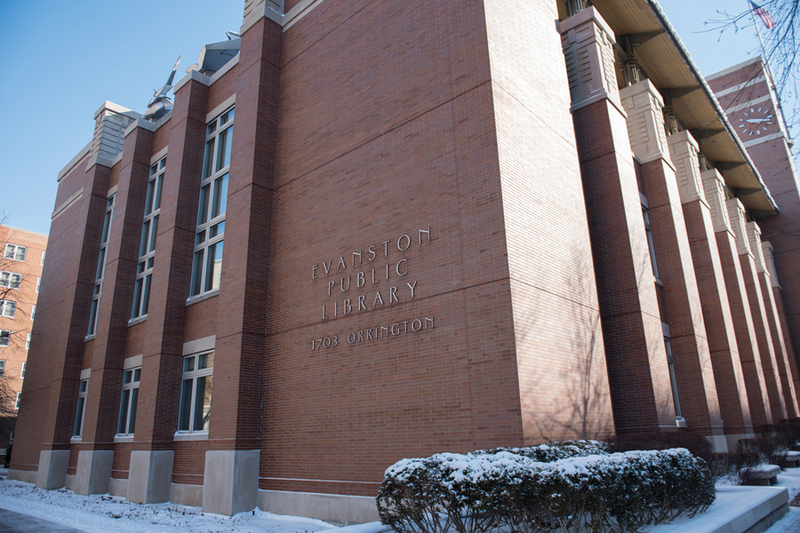 EPL director Karen Danczak Lyons said by inviting volunteers of all ages, races and personal backgrounds to join the conversation, people can better understand the differences existing in the Evanston community and build stronger relationships with one another. “This is a very diverse community and getting to know someone whose experience is different from you helps build empathy,” Lyons said.